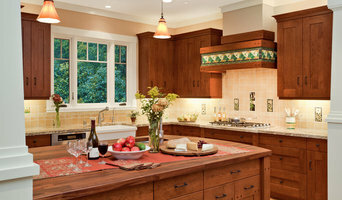 Bay Area's Full Service Design Firm Best of Houzz Winner! About Working with Alexis. . . Fighting through a design challenge is what I do best! Most of my clients feel overwhelmed with their remodel or design task and feel as though they can not make any of the right decisions. With my design education and experience I can not only help you achieve the goals you have for your home, but relieve the stresses of managing a project that - let’s face it - you are probably too busy for. So I am here to help design a space you will love and your friends will envy! A Bit About the Process. . . I believe every project should be an exciting experience for my clients, so collaboration is key! I meet with you at your space for a complimentary consultation to get to know your project and more importantly your family’s lifestyle needs, desires and future plans. After a formal proposal and we agree to work with one another I then create drawings to help you visualize your future home. After revising a design customized for you the project managing begins. Whether it is purchasing items or scheduling sub-contractors I put things into play until the design becomes reality. More About Alexis. . . Designing spaces has always been second nature to me. A daughter of a general contractor, I watched my father work on home renovations and consistently rearranged my bedroom, friends rooms, desks, just to make it feel more organized and balanced. I was destined to work with interiors! I have earned a Visual Communications degree from the FIDM and a Bachelor Degree in Architecture with an emphasis on Sustainability from the University of California, Berkeley. Within the last decade I have worked in the San Francisco Bay Area in corporate retail graphic design and merchandising, staging and architecture firms, and high end interior design companies. The variety of experiences has allowed me to form an understanding of the built environment, pairing comfortability with aesthetics, and incorporate sustainable design whenever possible. My travels to Asia and South America have influenced my design aesthetic, mixing various cultural iconic items with a twist of modernity and classicism. I believe combining cultural styles brings sophistication with a sense of wonderment and beauty to a space. And I vow that good design is answering to the needs and desires of my clients and embracing the uniqueness of their space. 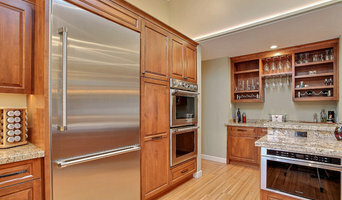 With over thirty-six years experience in residential construction, we not only offer competitive pricing, but also a vast knowledge of kitchen, bathroom, and remodel design. We have countless options to ensure you get a custom personal space that is unique and within your budget. We have a great reputation for being one of the best in our field and we approach all of our remodeling and construction projects with the goals of pristine quality and client satisfaction as our top priority. Our attention to detail our high level of professionalism has earned Cabinets By Better Design a name synonymous with dependability, consistency, and excellence. Call us today and let us show the you possibilities! 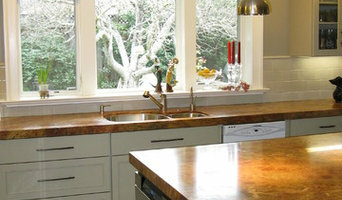 Stonewood Kitchen and Bath is an award winning design showroom located in Walnut Creek, CA. We provide full design services and products for kitchen and bathroom remodels, full home renovations and new construction. We take a highly personalized approach on each project and believe that the best results are achieved by listening to our clients desires and needs, providing high quality products and teaming up with trade professionals to execute the project. Call or visit our showroom to see how we can help you create your new space! We look forward to hearing from you!